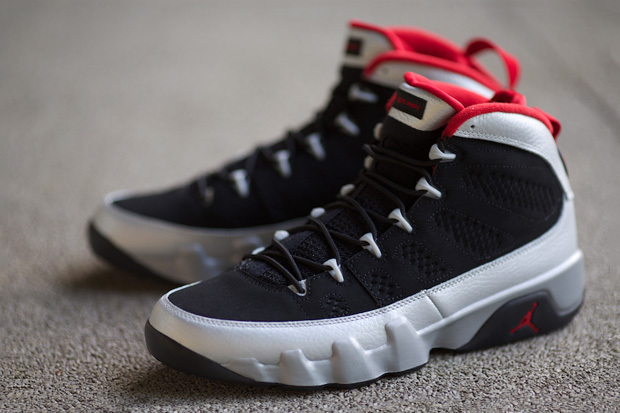 This color way of the Air Jordan 9 is part of a pack inspired by Michael JordanвЂ™s alter-ego, Johnny Kilroy. This sneaker features a Bulls inspired color way, utilizing Platinum / Black / Red throughout. A number 4 is stitched on the heels instead of 23 for his imaginary jersey number on the Bulls. The tongue features вЂњKilroy Kicks ButtвЂќ stitched inside to finish up this unique color way.